Every Supernatural Season 3 box includes 1 autograph card and 1 Pieceworks card! Other inserts include a 9-card foil "Hell on Earth" puzzle set, a 6-card "Betrayed" set, a 3-card "Out of Time" set, and a "Hellfire" case loader card (inserted 1 per case). There are 81 cards in the Supernatural Season Three base set. Customers pre-ordering 20 boxes (2 cases) receive one of two "Last Day" puzzle Pieceworks cards - either #PW13A featuring a shirt worn by Jared Padalecki as Sam Winchester or #PW13B featuring a shirt worn by Jensen Ackles as Dean Winchester (pictured below). Customers pre-ording 100 boxes (10 cases) receive a Dual Autograph Card featuring Jared Padalecki and Jensen Ackles (pictured below). The thrilling and terrifying journey of the Winchester Brothers Dean (Jensen Ackles) and Sam (Jared Padalecki) continues with the third season of SUPERNATURAL on The CW. Supernatural Season Three Premium Trading Cards from Inkworks focus on the third season of this hit television series. Autograph Cards - ONE PER BOX! 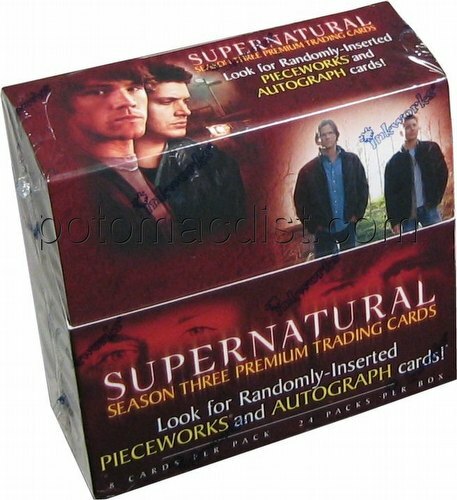 11 cards featuring the autographs of the stars of Supernatural: Season Three (11 cards - inserted approximately 1:24 packs). Pieceworks� Cards - ONE PER BOX! 13 cards featuring pieces of the actual costumes worn on-screen during Supernatural: Season Three (13 cards - inserted approximately 1:24 packs)..
Hell on Earth - A nine-card foil puzzle (9 cards - inserted approximately 1:11 packs). Betrayed - Six special cards (6 cards - inserted approximately 1:17 packs). 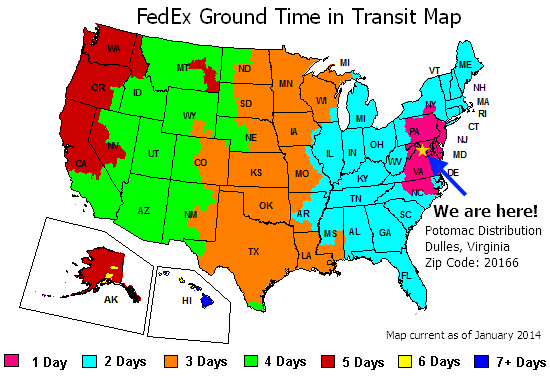 Out of Time - Three cards (3 cards - inserted approximately 1:24 packs). Hellfire - One case loader cards (1 card - 1 per shipping case).